Centre Adam Warren has signed a two-year contract extension that will keep him at Dragons until 2021. 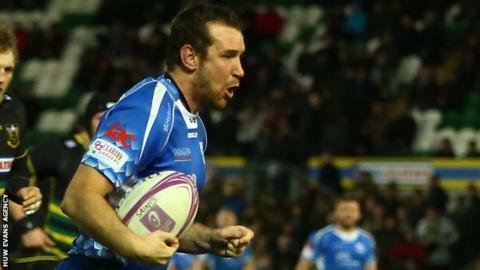 The once-capped 28-year-old arrived at Rodney Parade from Scarlets in the summer of 2015. He joins forwards Lewis Evans and Matthew Screech, who have already signed deals to remain with Dragons. "Adam has become a firm fan's favourite during his time at the Dragons, due to his consistently strong performances," said coach Ceri Jones. Warren said: "I'm still enjoying my rugby for the Dragons and challenging myself to keep developing and improving.